On Prism, Yoshida Brothers have collaborated with some notable talents, such as Southern California singer-songwriter Jesca Hoop, who wrote the Celtic-tinged “One Long River” and David Baerwald, the singer-songwriter who provided the whimsical track “Mr. Nagano’s Foolish Proposal”. And “Summer Day” marks a collaboration with keyboardist and producer Mitchell Froom (writer of the Yoshida Brothers’ “Hit Song”) with additional songwriting contributions from drummer Matt Chamberlain (Tori Amos, Edie Brickell) and Phantom Planet vocalist Alex Greenwald. 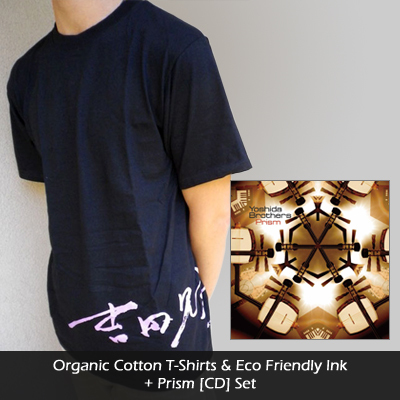 This album stand-outs fit comfortably alongside more traditional examples of Japanese folk like “Hu Jin” and “Aiya,” plus the Brothers’ inspired cover of “The National Anthem” from Radiohead’s Kid A. The album’s final track, “End of the World,” was featured on the soundtrack to the Mark Wahlberg/Joaquin Phoenix film, We Own the Night, further enhancing the Yoshida Brothers’ profile in America. Please follow Yoshida Brothers SNS accounts! 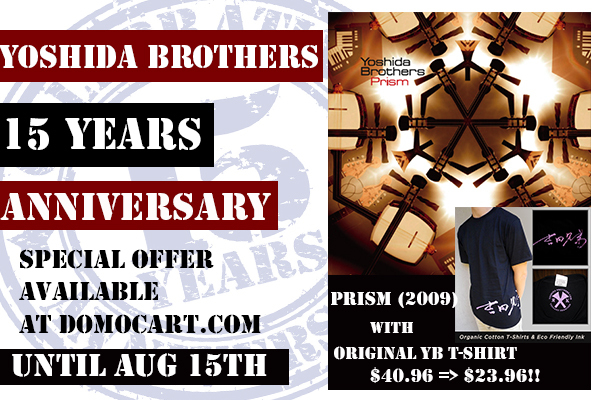 This entry was posted in Yoshida Brothers, YouTube and tagged 15th Anniversary, Kid A, prism, Radiohead, Shamisen, The National Anthem, tsugaru, YB, Yoshida Brothers, プリズム, 三味線, 吉田兄弟, 津軽, 津軽三味線. Bookmark the permalink.